Premium Chicory Sourced from Leroux, France. Nothing can replace coffee, but chicory serves as the next best alternative. Unlike coffee being made from the coffee beans; chicory coffee is made from the roots of the flowering chicory plant. This blue flowered plant is a part of the dandelion family and can be found in several parts of the world. Resembling coffee, chicory can be roasted, grounded, and brewed while maintaining a bitter but woody and nutty coffee-like taste. 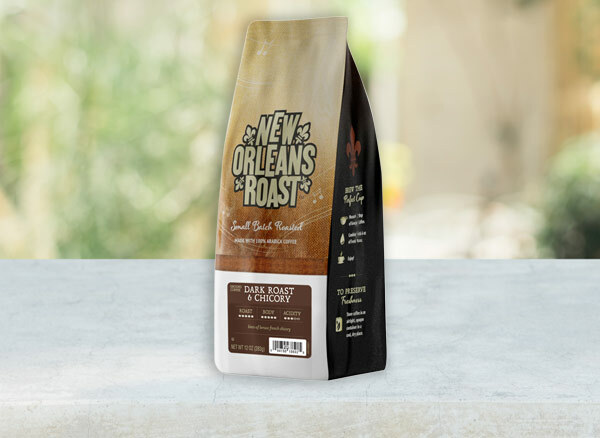 This coffee alternative became popular in New Orleans during the Civil War when there was a coffee shortage, due to blockaded ports. Being the second largest coffee port at the time, local coffee addicts were desperate for an alternative. 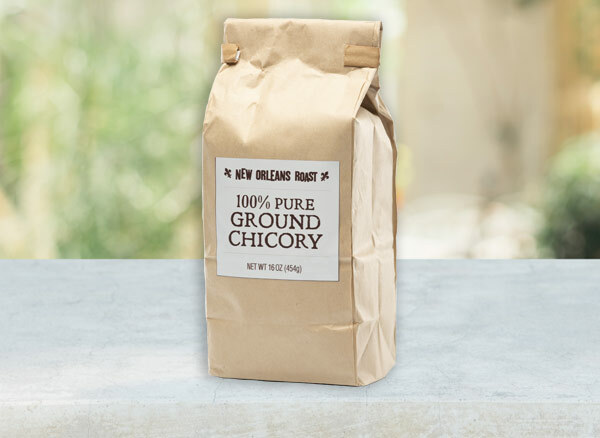 Following previous French practices, New Orleans locals turned to chicory to help satisfy their coffee cravings and make their limited coffee supply outlast the blockade. Because chicory is used variously, locals could drink it on its own or mix it in with their coffee as a flavor complement. Today, chicory serves as a caffeine-free alternative to coffee and can still be found mixed in various hot drinks throughout New Orleans. Q: What is the difference between regular coffee and chicory coffee? A: Regular coffee is made from coffee beans, and chicory coffee is made from the roots of the chicory plant. Q: What is a chicory plant? A: The chicory plant is a flowering perennial herbaceous plant belonging to the dandelion family. It has bright blue flowers, leaves and tough stems. The plant is can be found growing in several parts of the world, especially in the Mediterranean. Q: Does chicory coffee taste similar to regular coffee? A: Yes, chicory coffee tastes similar to regular coffee by having a bitter taste, but chicory also tastes woody and nutty. Q: How do you make chicory coffee? A: Chicory coffee can be brewed just like regular coffee, so you can follow your guidelines and add your own spices. 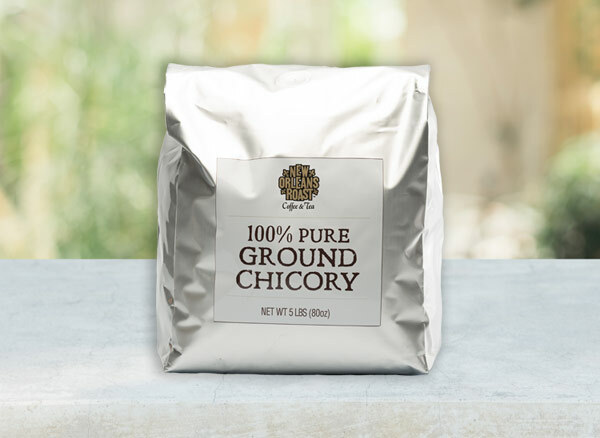 Chicory can also be blended in with regular coffee as a flavor complement if you brew 2/3 grounded coffee and 1/3 chicory coffee. Q: Are there health benefits to drinking chicory coffee? A: Yes, there are health benefits if used in moderation. Chicory coffee is commonly known as the caffeine-free alternative to coffee. There is also a percentage of insulin and antioxidants in chicory. Q: Why is chicory popular in coffee around New Orleans? A: During the Civil War era, New Orleans was the second largest coffee port in the world. The port was blockaded by the Union, which led to a coffee shortage and local chaos. Desperate to find a coffee alternative, locals followed in French footsteps and turned to chicory because of the similar coffee characteristics. After the Civil War ended, the use of chicory continued throughout New Orleans and can still be found in several popular drinks throughout the city today. 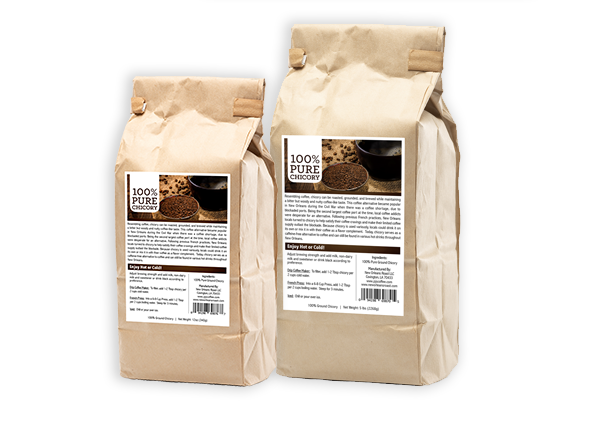 Delicious balance of 100% Arabica dark roast coffee with a hint of Leroux French Chicory. A true taste of New Orleans!